Minister of Health Rajitha Senaratne says that President informed him on how a Presidential Committee can be appointed against a Ministry. He mentioned this today (16), with regard to a meeting held between the President and the Government Medical Officers’ Association (GMOA). He says that he inquired the President Maithripala Sirisena on how to appoint a presidential committee against a ministry instead of a government. 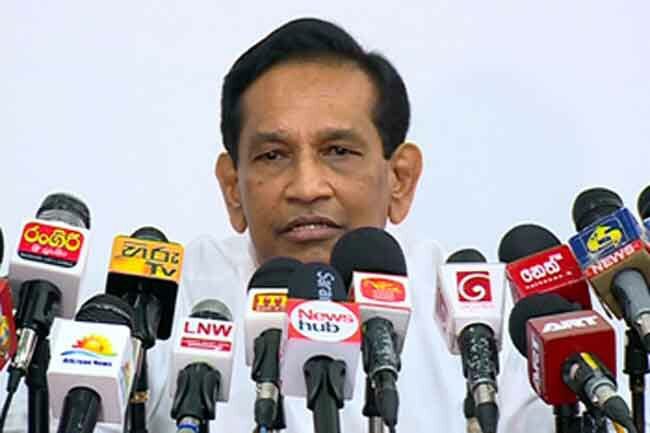 Senaratne says that the GMOA has become a pawn of a certain political party and spreads misinformation regarding meetings held with the President. One of the GMOA members is with the goal of becoming a minister and that is GMOA President Dr Anuruddha Padeniya, he further said.